He thought he had marriage figured out. After all, with five divorces in his family he had seen good examples of how not to do marriage. The reason for the divorce always seemed to come down to one or two issues - finances and sexual incompatibility. The young man surmised he could manage those two issues – he would complete his education and get a good job to provide well for his family; and he would live with his girlfriend a year or so to ensure they were compatible. It was a good plan until the girl he fell in love with said he would have to talk to her dad about the second part of the plan. Confusion resulting from life experiences was the foundation for the plan. The foundation was cracked due to limited life experience to draw upon. His perspective was influenced by the home in which he grew up and validated by friends he hung with. Fortunately, his girlfriend’s dad pointed them to a class in the church on marriage preparation. In that class he was presented with a biblical perspective on marriage that he had never been exposed to. Together, he and his wife-to-be put together a new plan, a plan with Jesus the Christ as the foundation. Husbands, love your wives, just as Christ loved the Church and gave Himself up for her … For this reason a man will leave his father and mother and be united to his wife, and the two will become one flesh. – Ephesians 5:25, 31. Paul went back to the beginning, Genesis 2:24 to reference the Father’s definition of marriage – oneness under Him. This is a perspective well beyond whatever life experiences have shaped a young person’s view of relationship. Our Father opened the door to relationship with Him through His Son Jesus the Christ. The journey took His Son all the way to the cross to show His love for us. And Paul says that is the example we are to follow as husbands, to love as Christ loved. 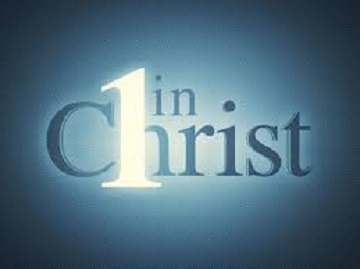 This selfless, sacrificial love can only be realized through oneness with Christ - “that all of them may be one, Father, just as You are in Me and I am in You. May they also be in Us so that the world may believe that You have sent Me.” – John 17:21. The young man was thinking about himself and what he could control albeit with good intentions to make a marriage work. The plan was focused on fixes that addressed what was broken in the marriages he saw fail. Over the next several decades he learned that marriage is not about self and fixes but being selfless and knowing the Solution. The Solution is oneness with Jesus the Christ, a personal and passionate relationship that is lived out in the marriage relationship. Prayer guide: Lord, Thank You for marriage, the foundational relationship from the beginning. Forgive me for being under the influence of the world to the point of confusion around what the marriage relationship is about. I praise you for Jesus’ journey, His life, death and resurrection that opened the door to You and granted me the opportunity to embrace oneness with You. Help me live that oneness in marriage and pass it on to our children. As the man, husband and father You call me to be I accept responsibility to rebuke confusion around marriage for the sake of the next generation. Amen. A faithful father embraces oneness with Christ and lives it in marriage.